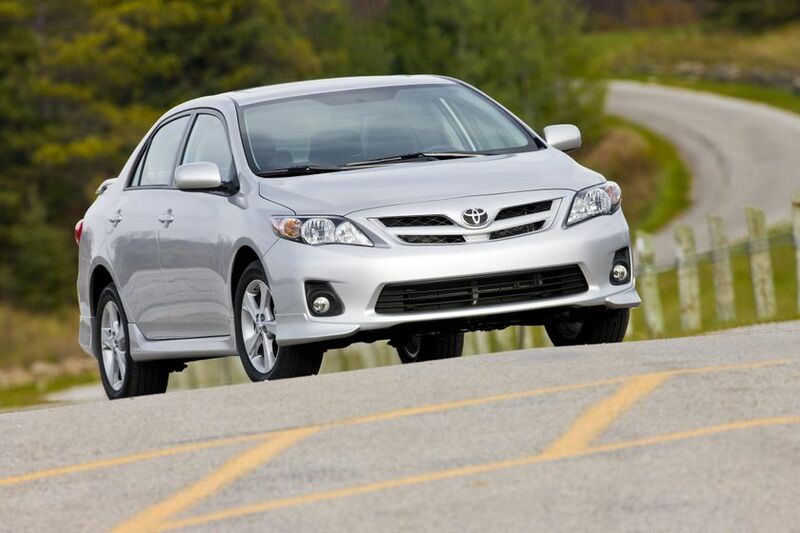 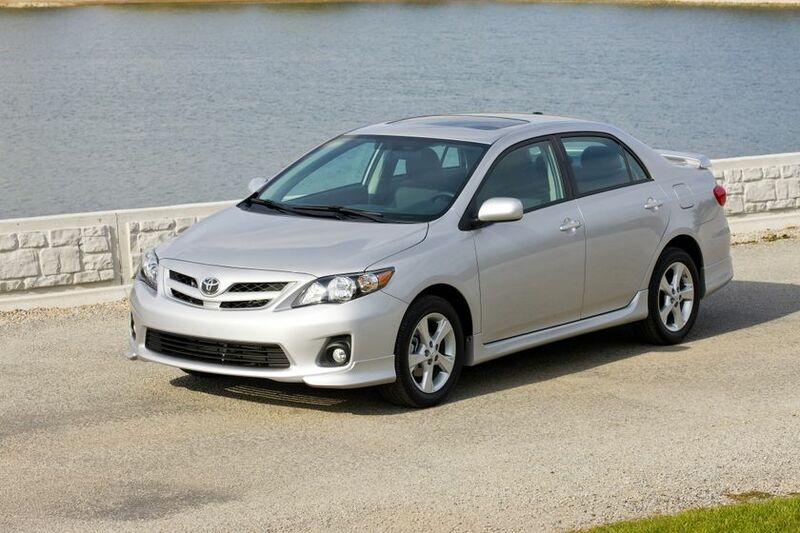 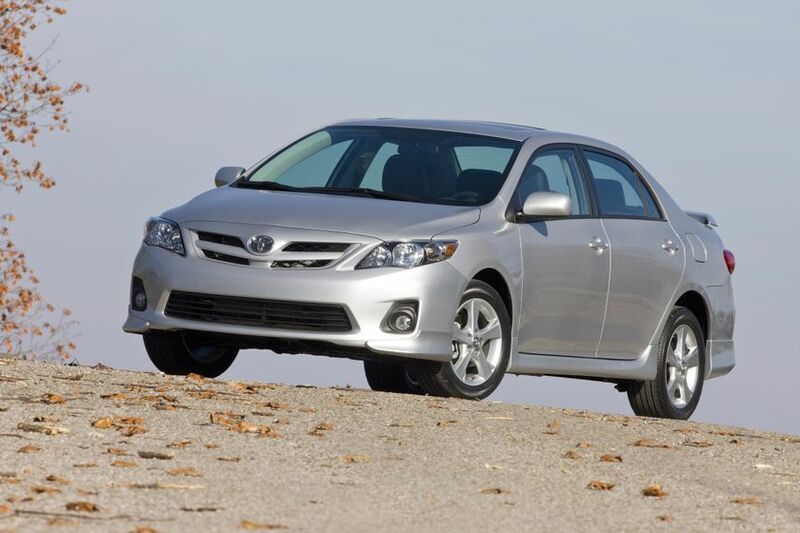 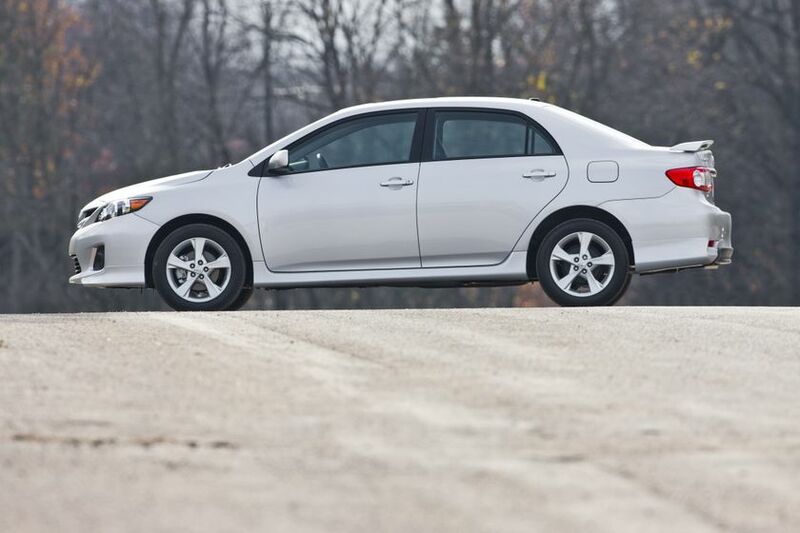 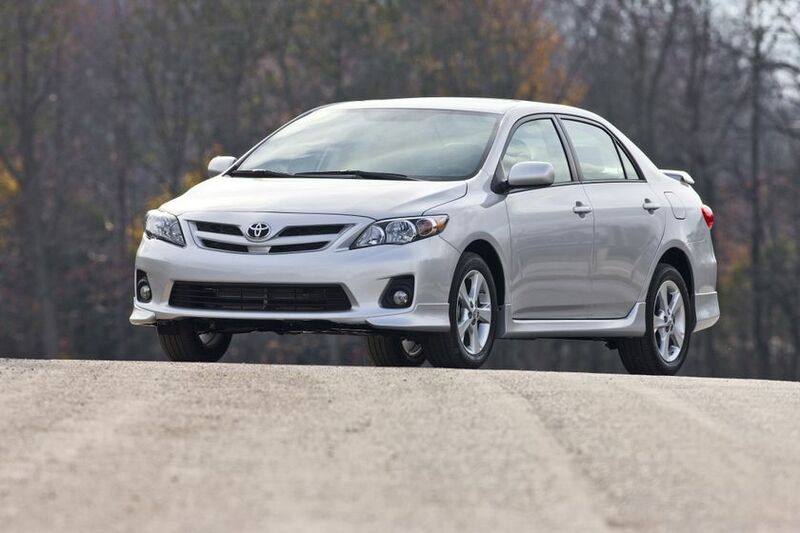 (TORONTO) – Making their Canadian auto show debuts today at the 2011 Montreal International Auto Show are the refreshed 2011 Canadian-built Toyota Corolla and Matrix. 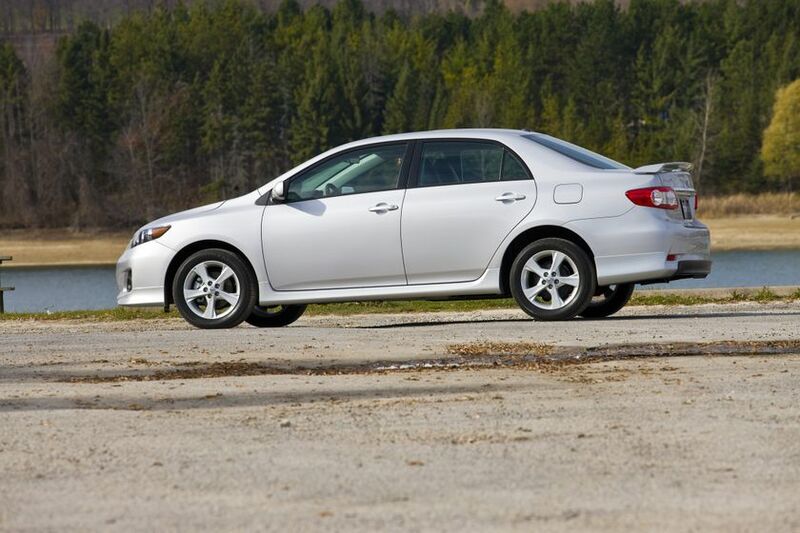 There’s a 2011 Matrix for every Canadian driver, with three models featuring a choice of front-wheel-drive or all-wheel-drive, two engine sizes, manual or automatic transmissions, enhanced safety, new convenience features and updated options packages for 2011. 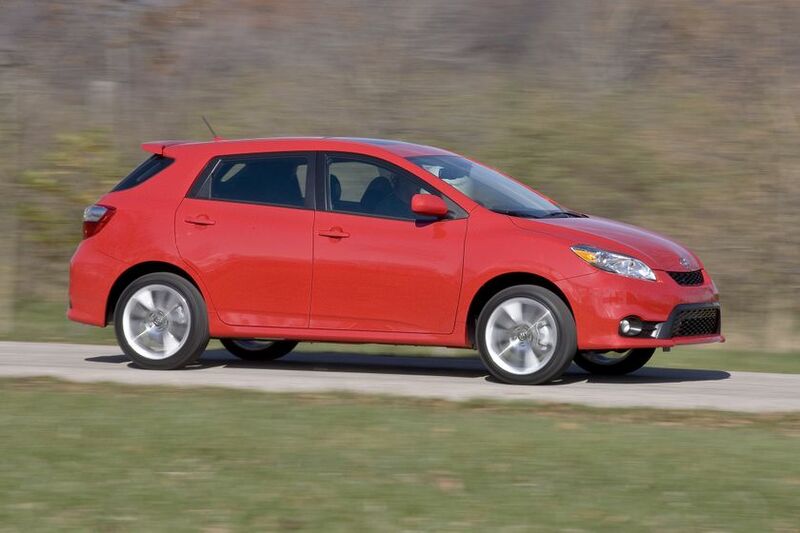 The front-wheel-drive 2011 Toyota Matrix is fitted with a powerful yet efficient 1.8L four-cylinder engine with Dual Variable Valve Timing with intelligence (Dual VVT-i) that delivers 132 peak horsepower and up to 128 lb-ft of torque. 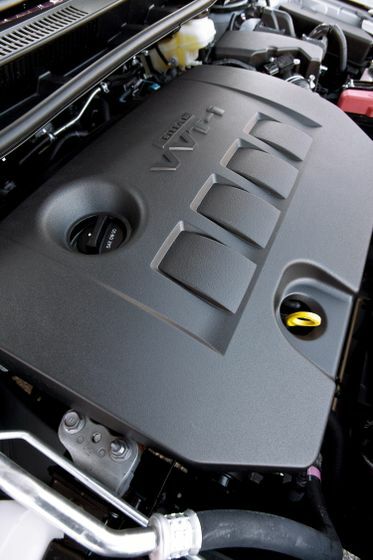 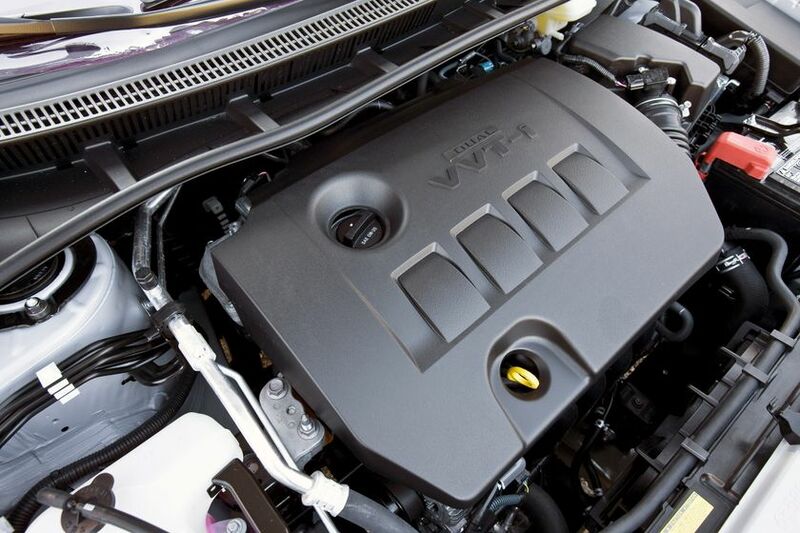 The front-wheel-drive Matrix XRS and all-wheel-drive Matrix sport a 2.4L four-cylinder with Variable Valve Timing with intelligence (VVT-i) that generates up to 158 horsepower and 162 lb-ft of torque. 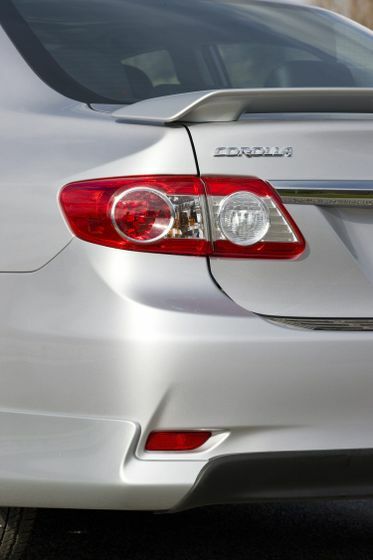 Toyota engineers have enhanced both engines for performance and efficiency with systems such as sequential multiport fuel injection. 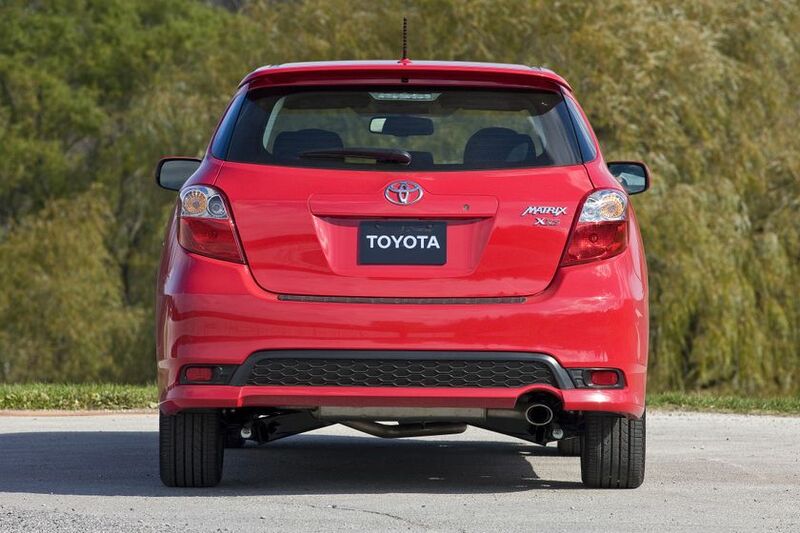 All Matrix models achieve a Tier 2 Bin 5 emissions rating. 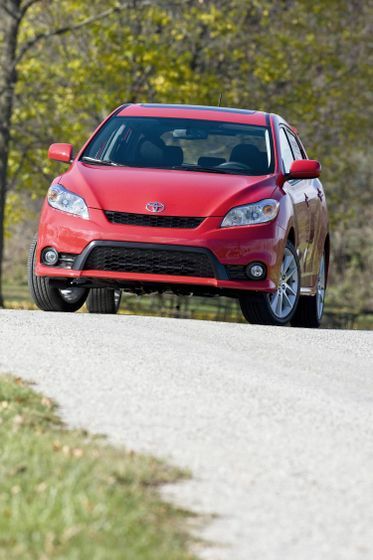 Performance relies on handling and control. 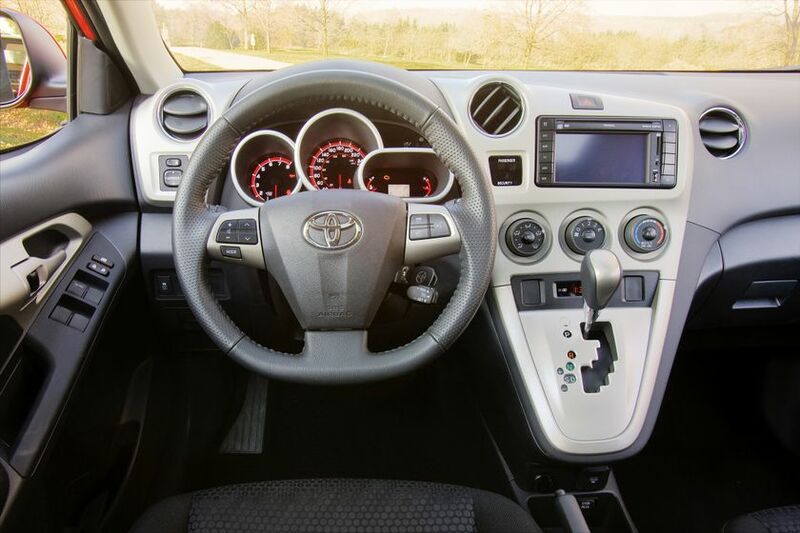 That’s why every Matrix is fitted with highly responsive electric power steering and suspensions engineered to match each engine’s output. 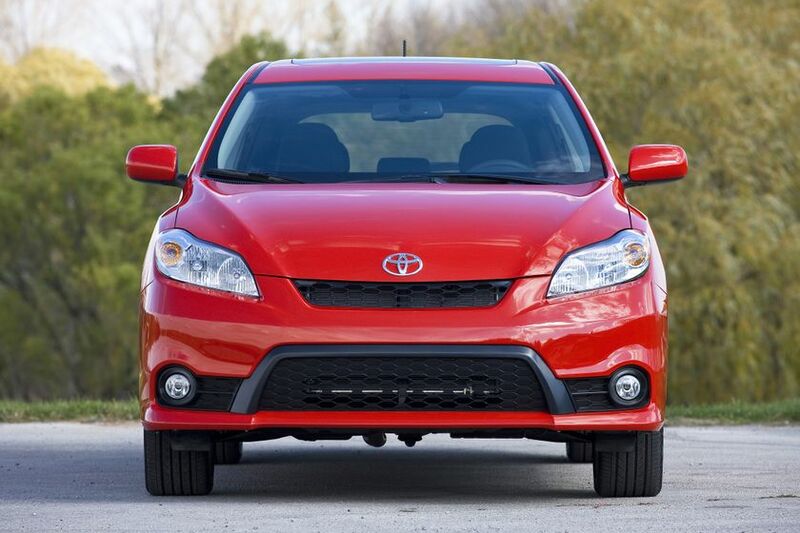 All models sport an independent front suspension with Macpherson struts, while the Matrix XRS front suspension is enhanced with a sport strut tower brace. 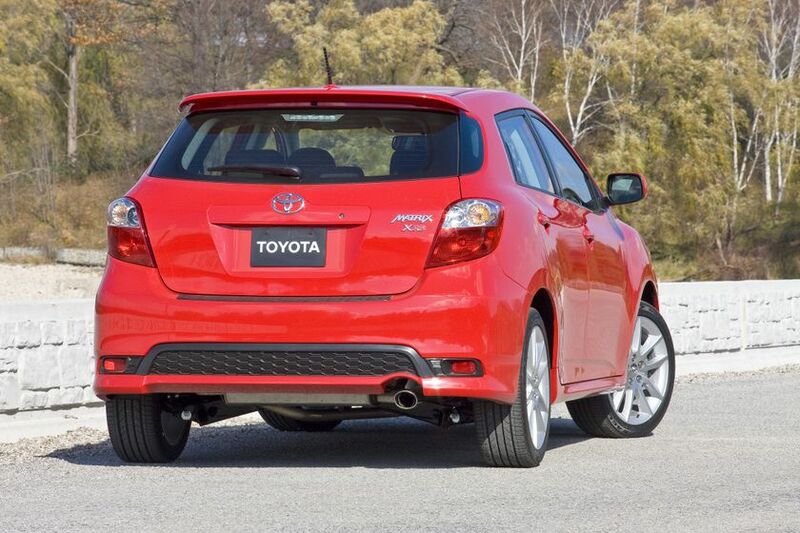 At the rear, the Matrix rides on a torsion beam type suspension, while the Matrix XRS and Matrix AWD feature an independent double-wishbone suspension. 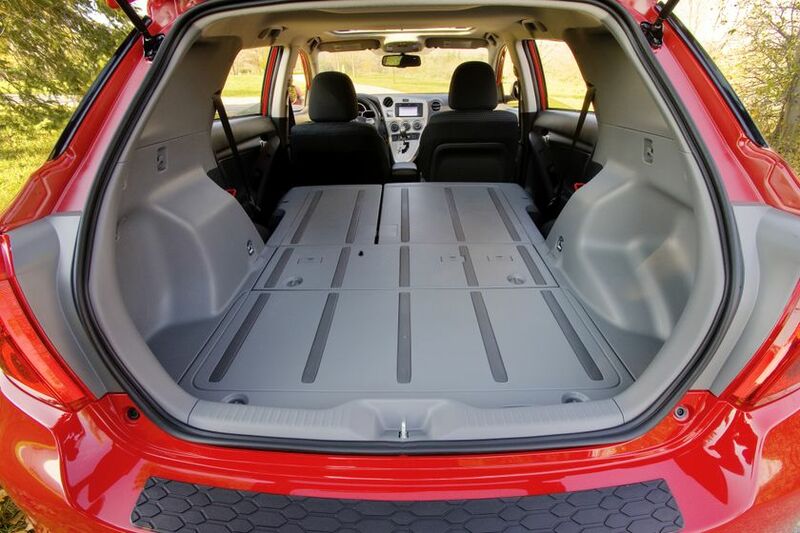 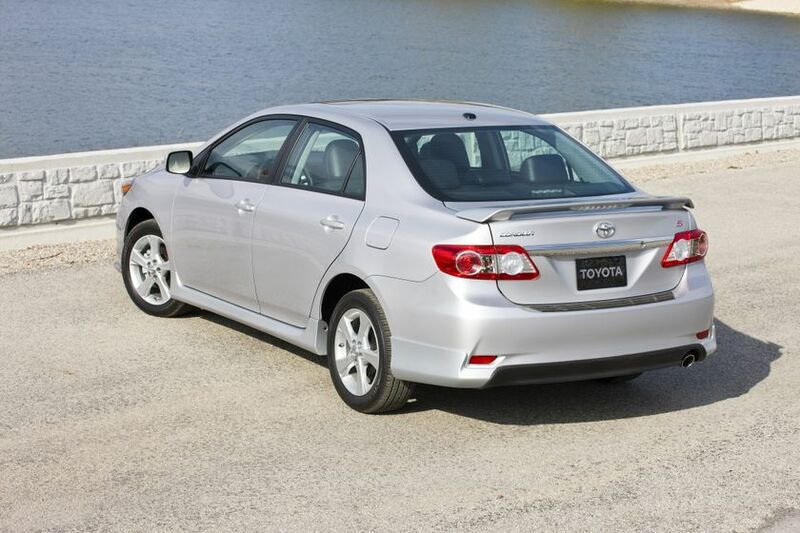 All models feature stabilizer bars front and back for added handling confidence. 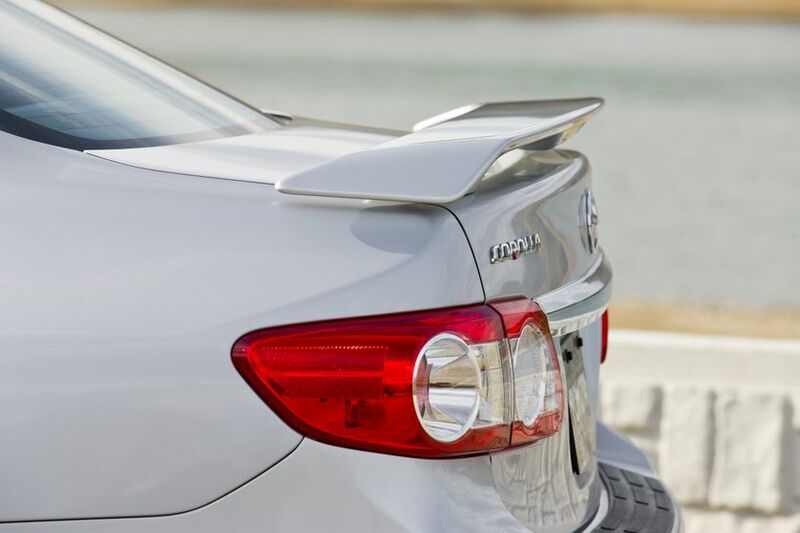 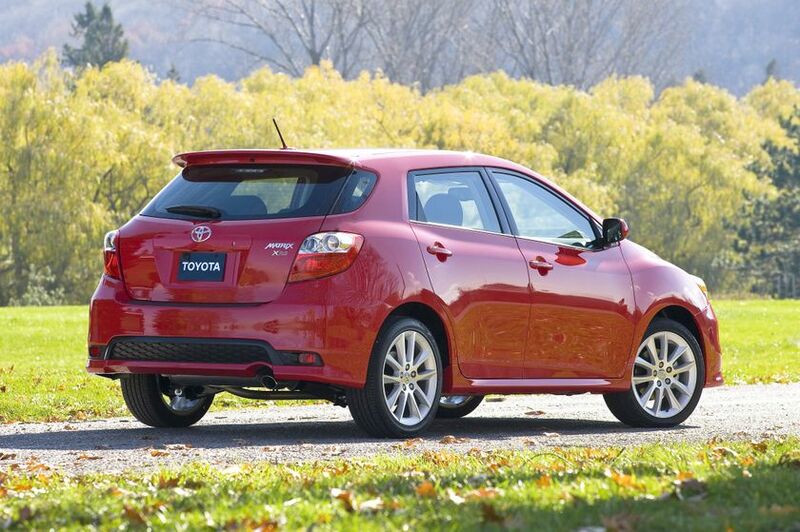 All models feature Vehicle Stability Control and Traction Control as standard, while the Matrix AWD also sports Toyota’s Active Torque Control System. 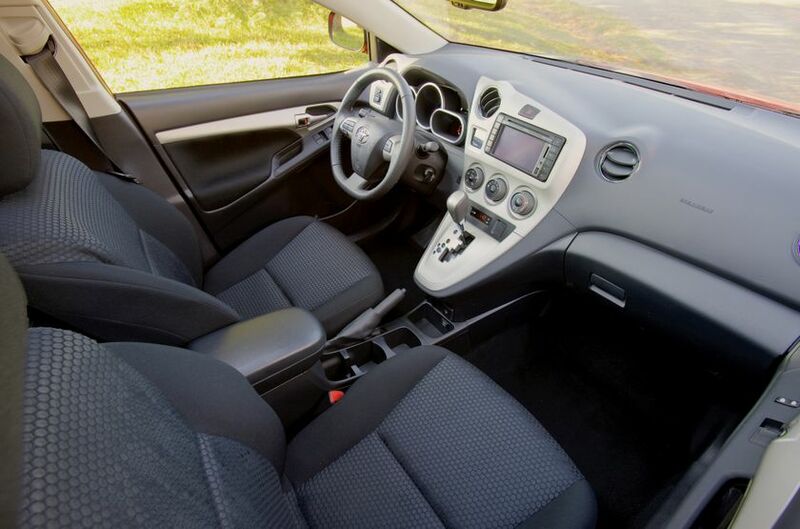 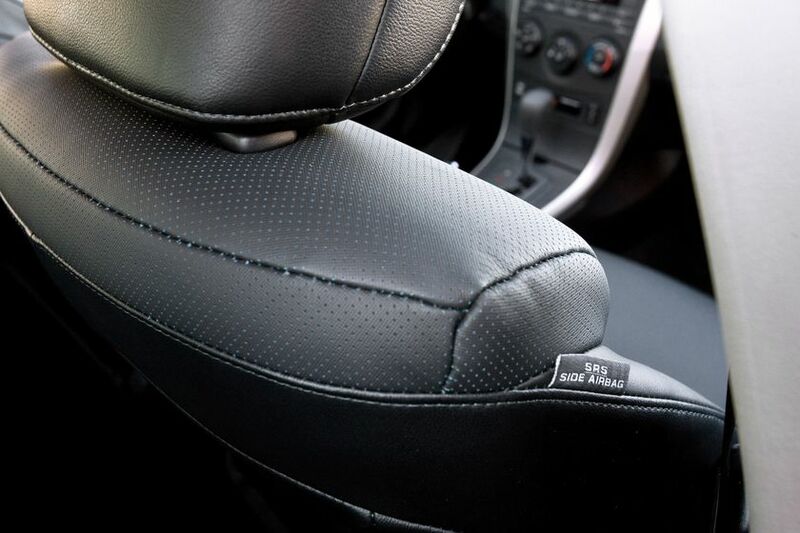 Every 2011 Matrix is well equipped with comfort, convenience and style amenities. 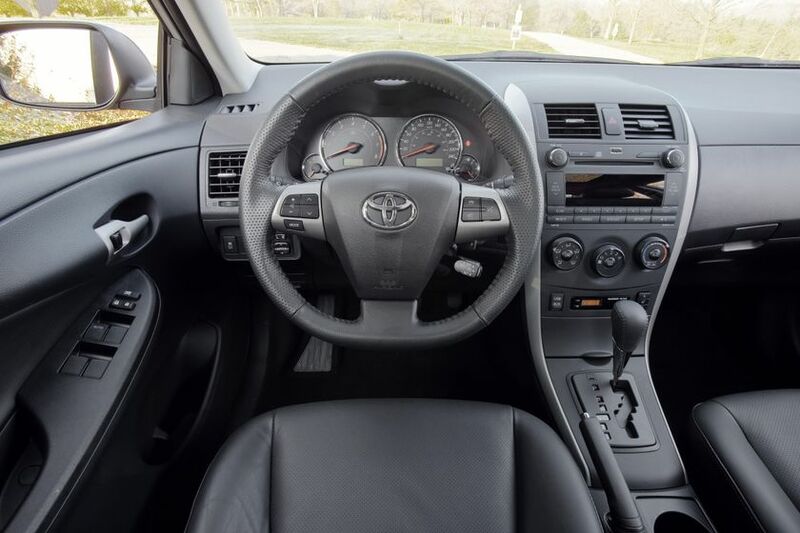 All models feature: audio systems with a CD player with MP3/WMA capability, auxiliary audio input jack and steering wheel-mounted audio controls, a cabin air filter and rear seat heater ducts, a 60/40 split fold-down rear seat, an instrument panel featuring dual trip odometer, outside temperature gauge and digital clock, tilting/telescoping steering column, dual vanity mirrors, a cargo area lamp and map lamps, front and rear cup holders, a driver’s coin case compartment, a 12-volt accessory power outlet, cargo area tie-down rings, door map pockets, colour-keyed bumpers, foldable, power adjustable and heated mirrors and more. 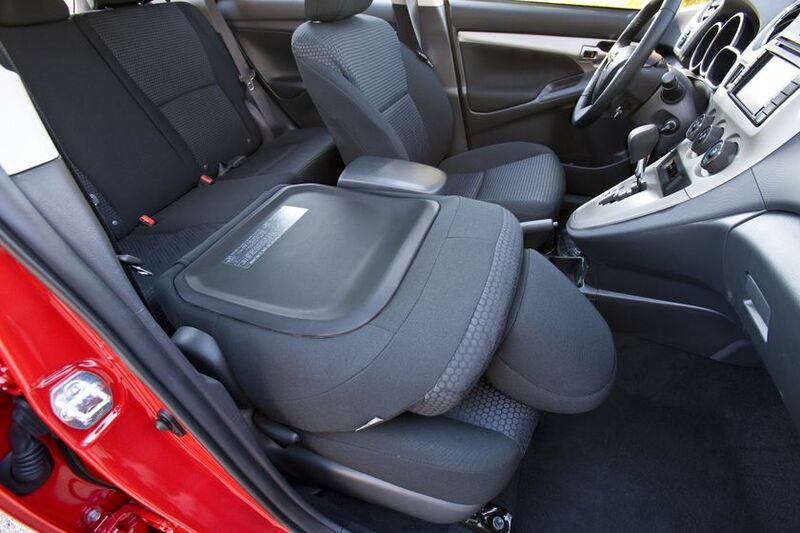 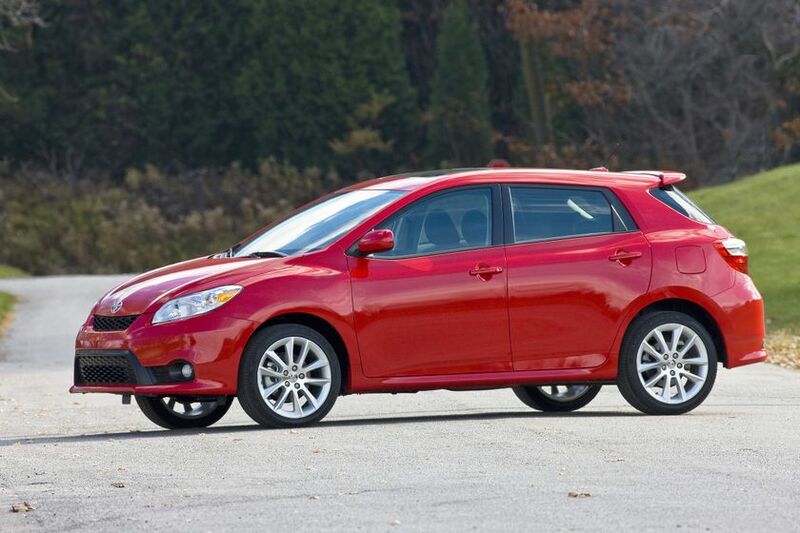 The 2011 Toyota Matrix features a four-speaker audio system, reclining front passenger seat, a front centre console box with lid, integrated bottle holders in the front and rear doors, 16” steel wheels and more. 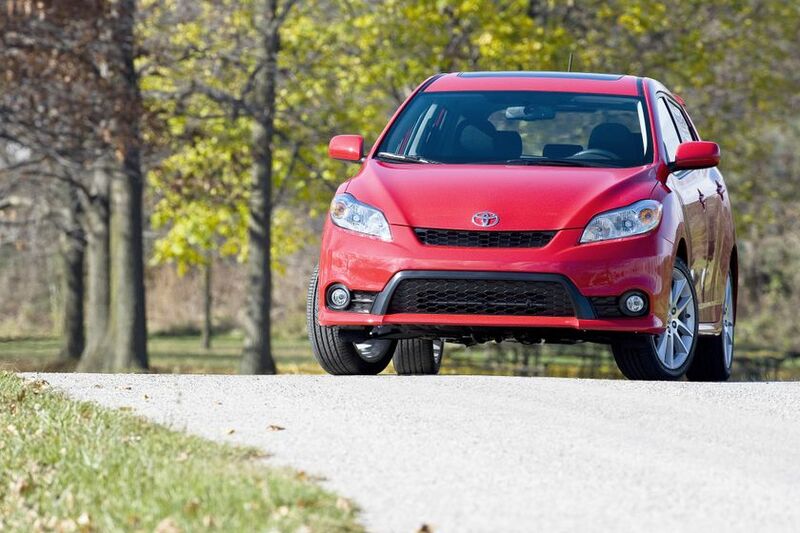 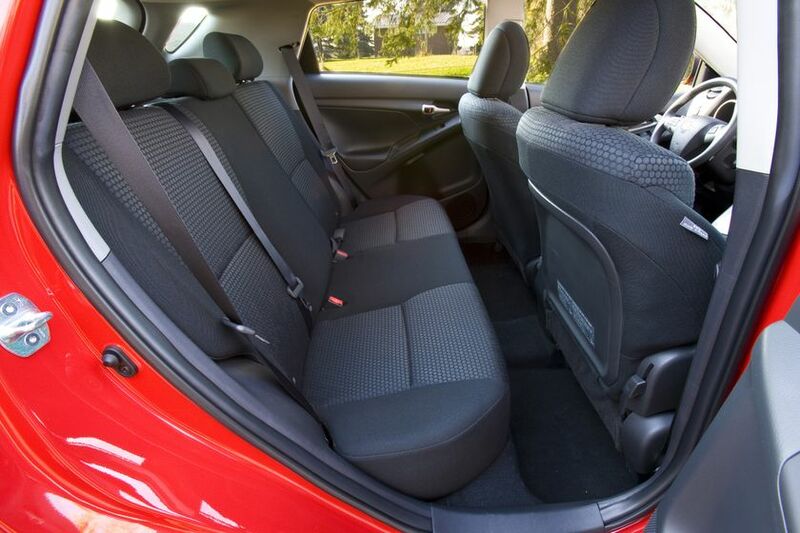 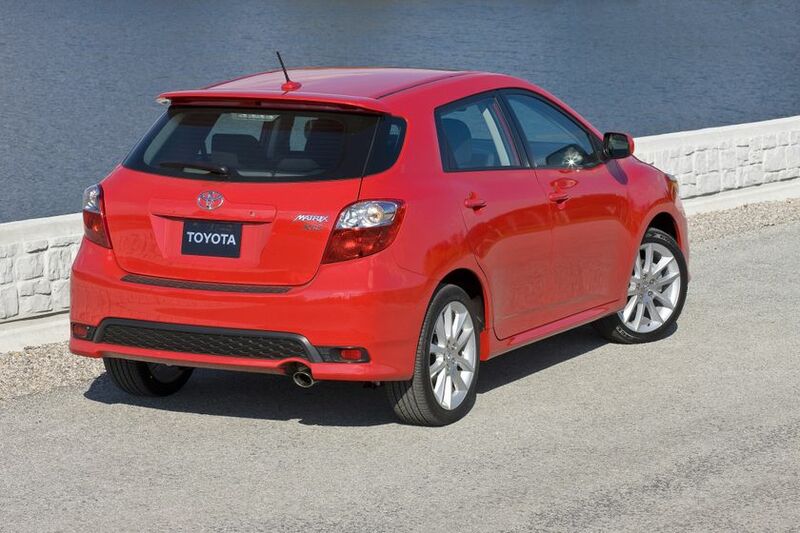 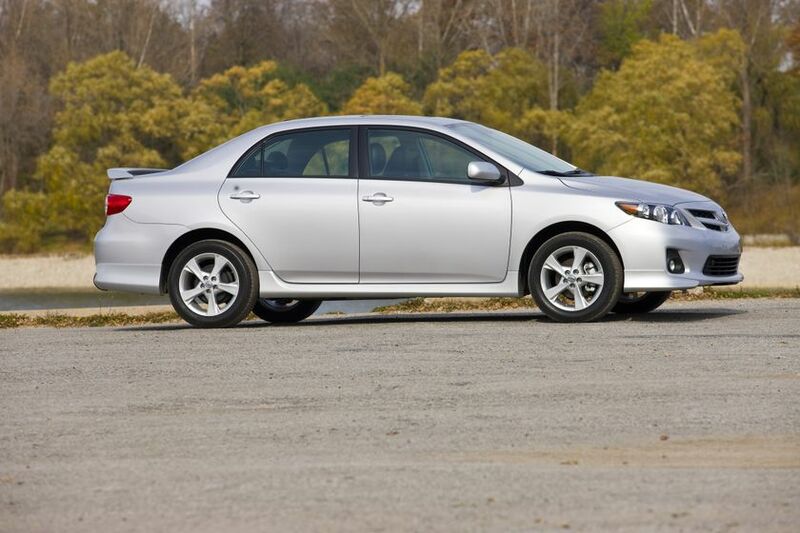 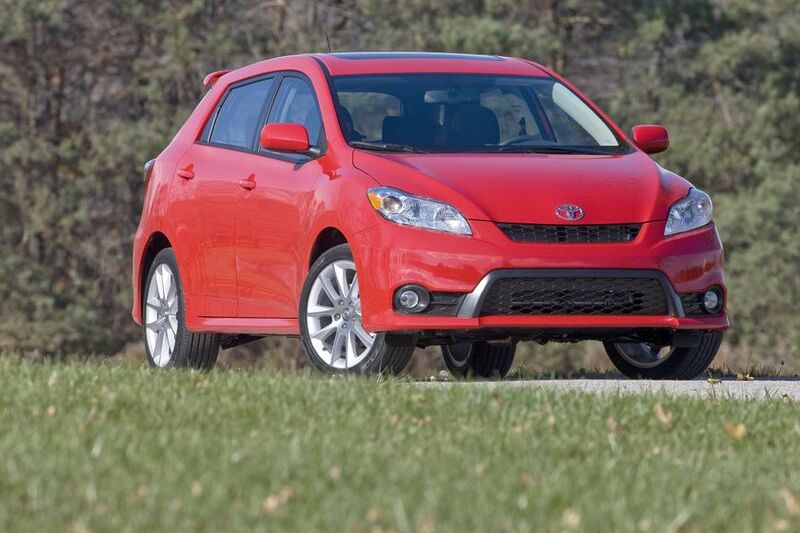 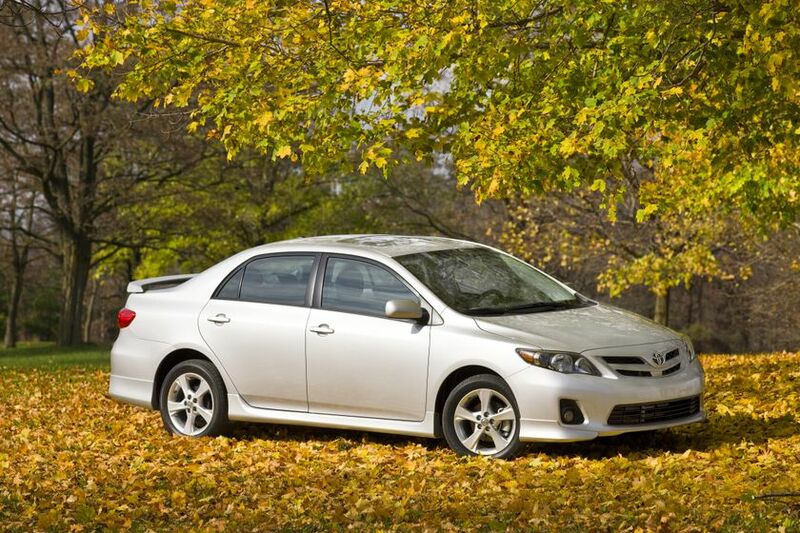 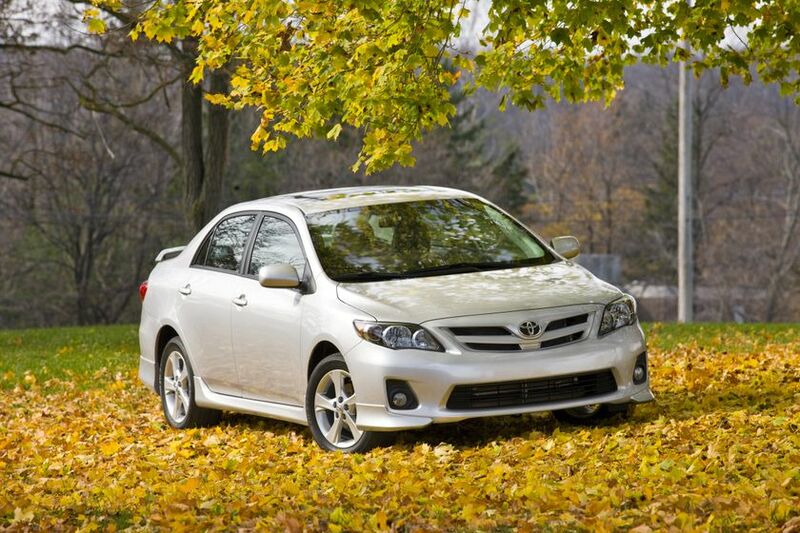 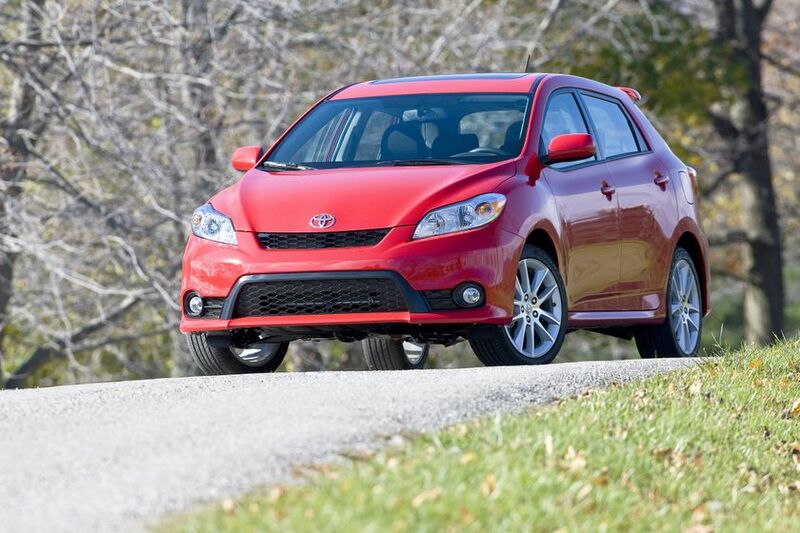 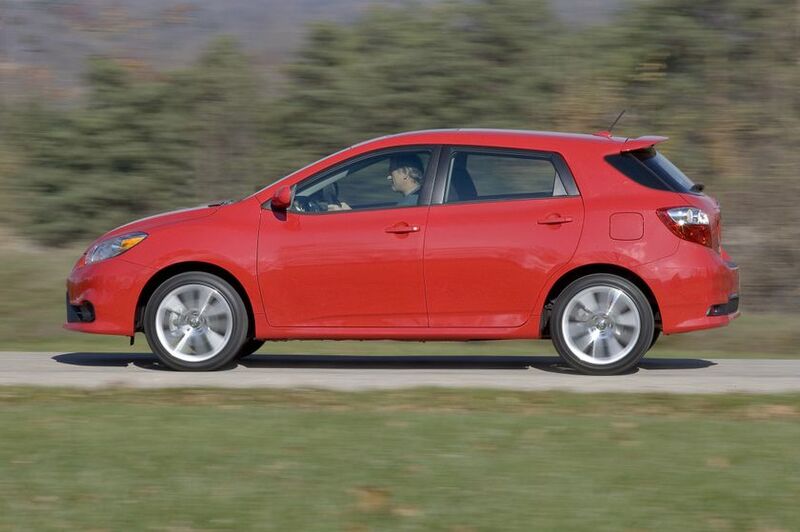 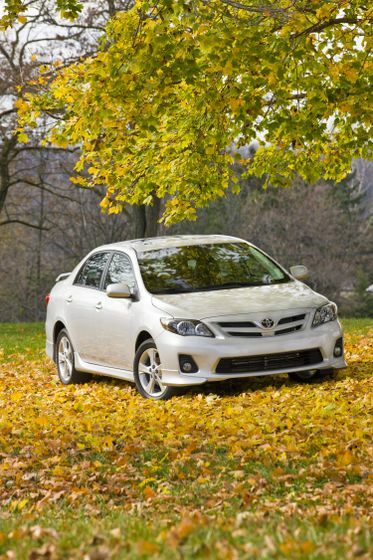 The 2011 Toyota Matrix XRS makes a statement with a full-suite of standard amenities. 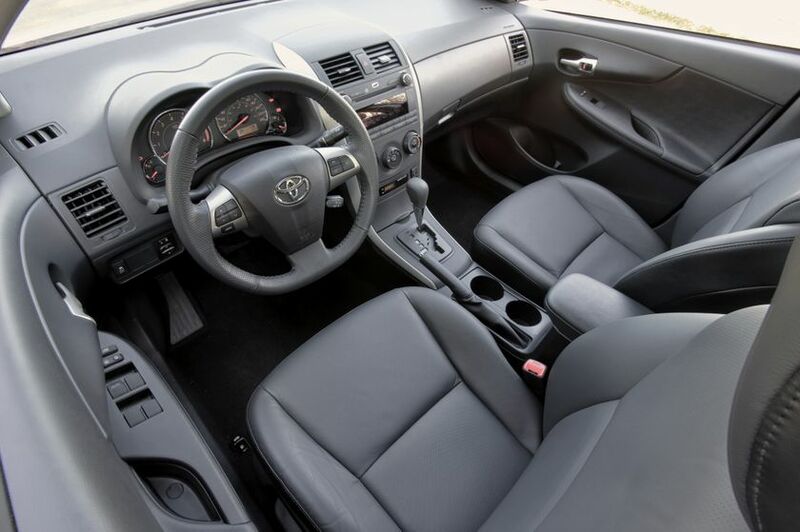 These include: a six-speaker audio system with USB input and Bluetooth capability, sport fabric seat coverings, a reclining front passenger’s seat with fold-down seatback, air conditioning, an auto-dimming rear view mirror with integrated compass, power door locks with keyless entry, windows with driver’s side auto down function, a leather wrapped steering wheel, a front centre console box with lid, overhead sunglass storage, seatback pocket in the driver’s seat, integrated bottle holders in the front and rear doors, special XRS scuff plates, cruise control, a 115 volt accessory power outlet, a tire pressure monitoring system, 18” aluminum alloy wheels with locks, a rear bumper protector, front and rear splash guards, a power moon roof, a chrome exhaust tip, front and rear sport fascias and roof mounted spoiler, fog lamps, a rear window intermittent wiper with washer and more. 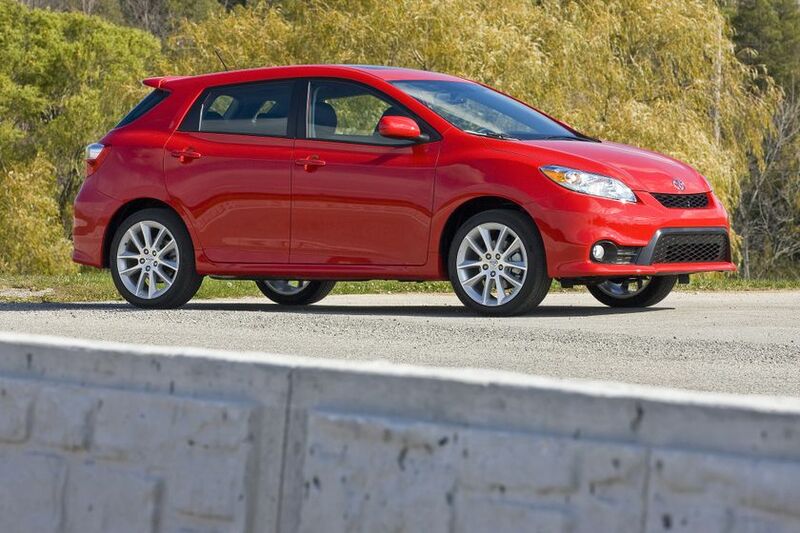 The Toyota Matrix AWD delivers added driving confidence with all-wheel-drive and a generous suite of standard features. 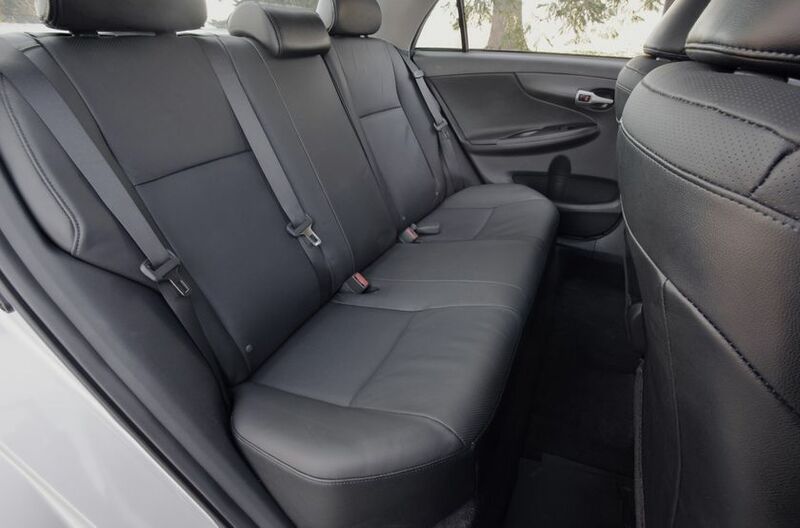 These include: a four-speaker audio system, a reclining front passenger’s seat with fold-down seatback, air conditioning, power door locks with keyless entry, power windows with driver’s side auto down function, a front centre console box with lid, seatback pocket in the driver’s seat, integrated bottle holders in the front and rear doors, cruise control, a tire pressure monitoring system, 16” steel wheels, roof rails with crossbars, a rear window intermittent wiper with washer and more. 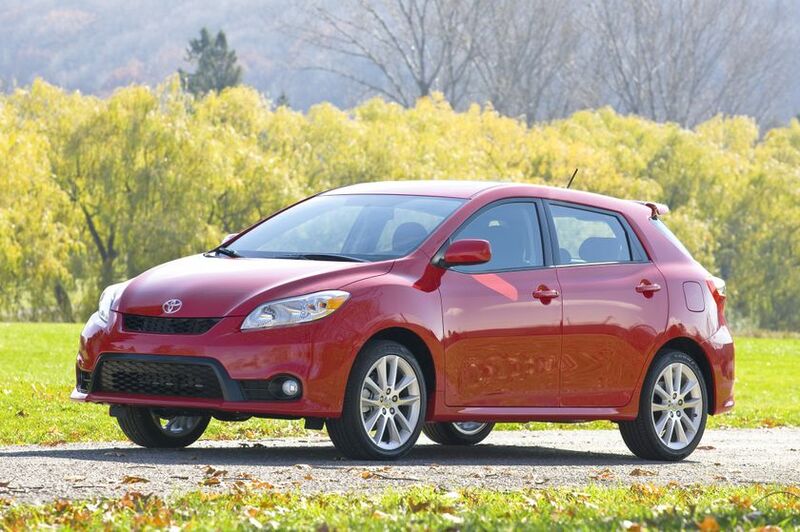 The 2011 Toyota Matrix is now on sale at Toyota Dealers across Canada, with a manufacturer’s suggested retail price starting at $16,715 for the front wheel drive Toyota Matrix with 1.8L engine, $24,075 for the front wheel drive Matrix XRS with 2.4L engine and $24,070 for the Matrix AWD.